They are found on roadsides, in fields, clearings and burned-over areas. 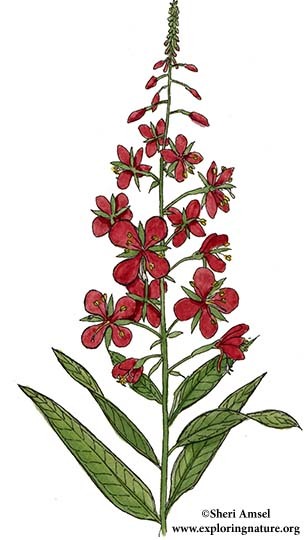 They have a bright bunch of large, scarlet-red flowers at the top of a tall plant. The leaves are long and thin. They are green on top and pale below. They bloom July through September. 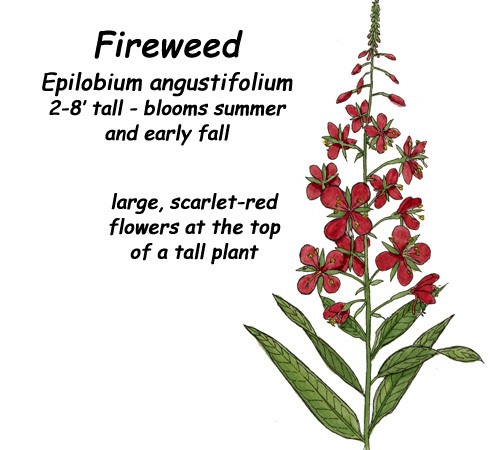 Also called, great willow herb.